It's time to take what's yours. 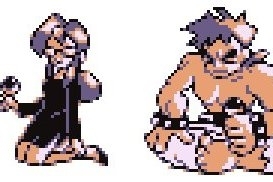 If you've been playing Pokemon Red, Blue and Yellow after its recent re-release by way of the Nintendo eShop, you may have reached the end of the game by now, or in other words the final fight with the Elite Four. Technically that's not the end of the game of course by far, as you still have to catch 'em all (all trainers' real goal). But beating the Elite Four is the next step to becoming a Pokemon Master. Take these tips and tricks to heart when you get to the end of Victory Road and face off against these four skilled trainers. Here's the rundown on each trainer and what you need to do to emerge victorious. Lorelei focuses on Water and Ice-type Pokemon, so if you've got some Electric-type monsters you'll be sitting pretty. Her Dewgong is one of the most powerful and will continually rely on Rest to gain its health back after you think you've whittled it away to nothing, so make sure to get it taken out ASAP. The rest of her team: Cloyster, Slowpoke, Jynx and Lapras, all have some frustrating moves but a good Thundershock or Thunderbolt will dispatch them quickly. An Electrode or even a Raichu is invaluable here, especially if you've got a high enough level of a Pokemon to one-hit Dewgong. If you've tended to collect and train a Pokemon for every element, you should be doing quite well near the end of this battle. This is where it gets tricky, but you're halfway there. Don't punk out now! You're so close! Agatha stays using Poison and Ghost-type Pokemon, but if you've got a Haunter or Gengar of your own you won't even have to worry. Alakazam would be a great alternative as well. If you have the move Psychic, it's incredibly powerful against Gengar, Golbat, Haunter, and Arbok. Don't waste time using physical attacks or Fighting-type Pokemon here, as you'll just be doing yourself a disservice. Don't get caught being forced to sleep either, as the powerful Dream Eater attack will ensure your team is swept away as quick as you hit the play field. Use the Poke Flute to wake up sleeping Pokemon if you don't want to use items and conserve your strength. You're going to need all you can get for the battle ahead. You've made it. You're finally to Lance, the Dragon-type king. Lance is sporting a powerful team of Gyarados, Dragonair, Aerodactyl, and Dragonite, with the former two in the level 60s. You'll need to be particularly wary of Hyper Beam, unless you're the one dishing it out. Use a Pokemon with a lot of HP to burn and heal, heal, heal! Watch out for Dragon Rage as well, a powerful attack that can completely level your team. Hyper Beam will need to be shut down by attacks like Dig and Fly where you can't be hit. Keep at it, be persistent, and don't give up! If you followed the guide, you should have found that you've made it all the way to the end of the game! But there's one more person standing in your way: the Champion, and your rival. He's got different teams based on the Pokemon you chose at the beginning of the game. Come back next week for a guide on how to finish off your rival, once and for all!